HUGE Ocean Front Parcel click here to view or scroll down for photos. Pualani Estates home is SOLD! The Pualani Estates home entered escrow within 11 days of listing on mls; sold for full asking price. Kalani Sunset home is SOLD! 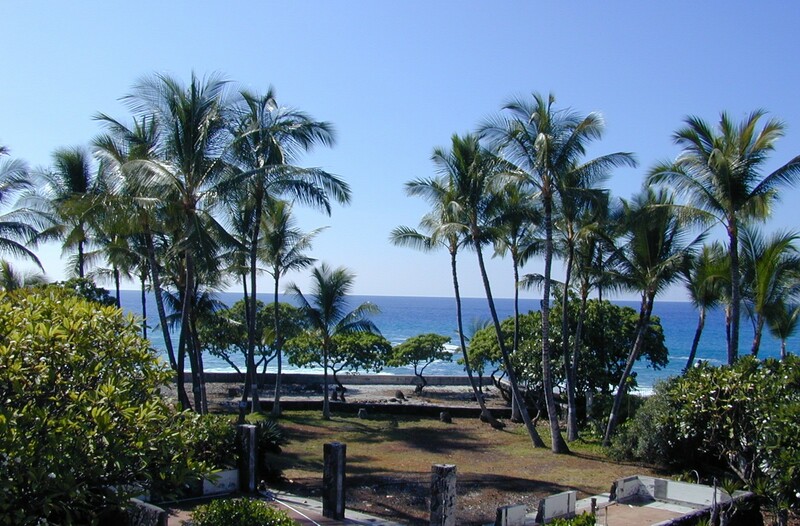 A36 condo at ocean front Kona Reef is SOLD! 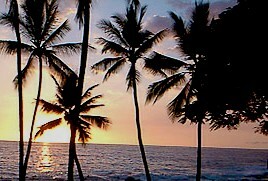 B21 condo at ocean front Kona Reef is SOLD! Uniquely located at the end of a private road, along the ocean's edge, this property provides the prestige and convenience of an Ali'i Drive address, but is 700 feet away from the noise and traffic. 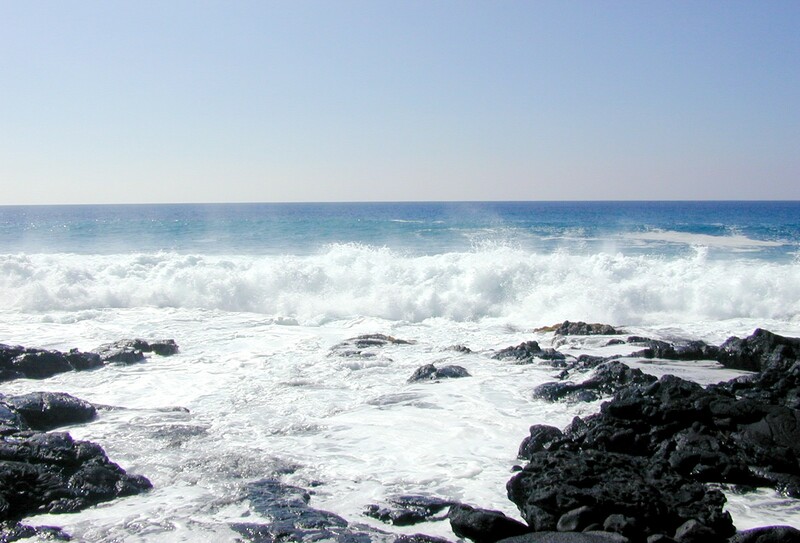 The private entry road is not a public beach access, resulting in rare oceanfront privacy and quiet. 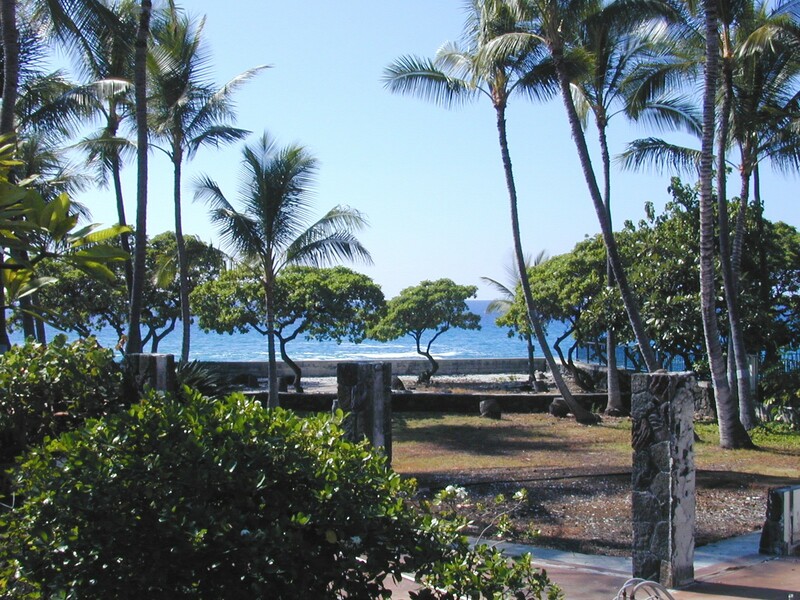 Two original lots were combined to provide 18,310 square feet of land (.42 acre) -- more than three times the space of the typical Ali'i Drive oceanfront parcel. 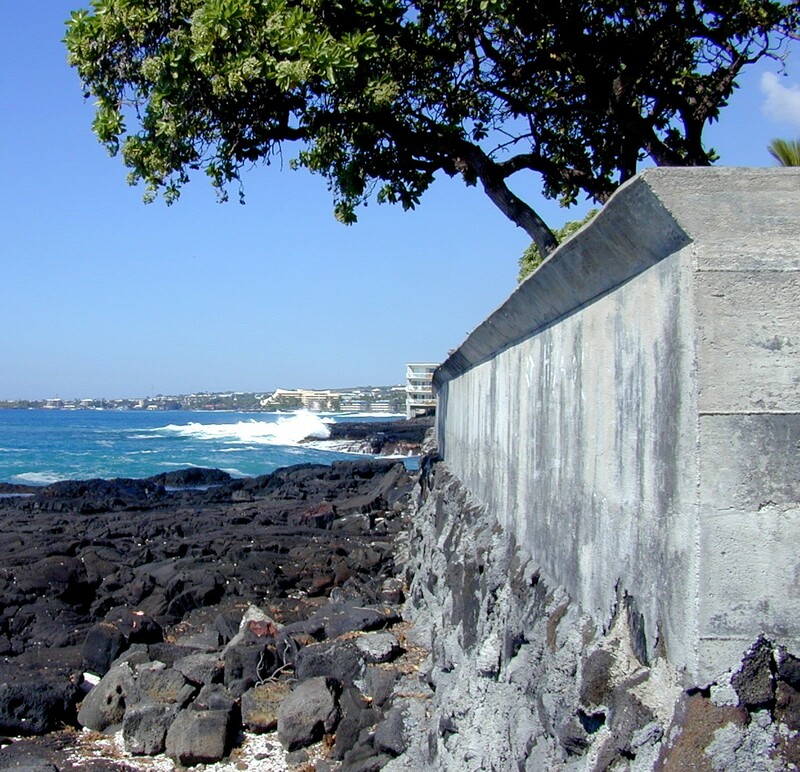 This lot is not subject to customary SMA restrictions, which results in more useable land closer to the surf than most oceanfront property in Kona. Provides 180+ degree views of the Pacific Ocean, including Kailua Bay, as well as spectacular views of both northern and southern coastlines. “Lucky” Bennett stamped plans for magnificent walled estate with seaside infinity pool may be available to purchaser. 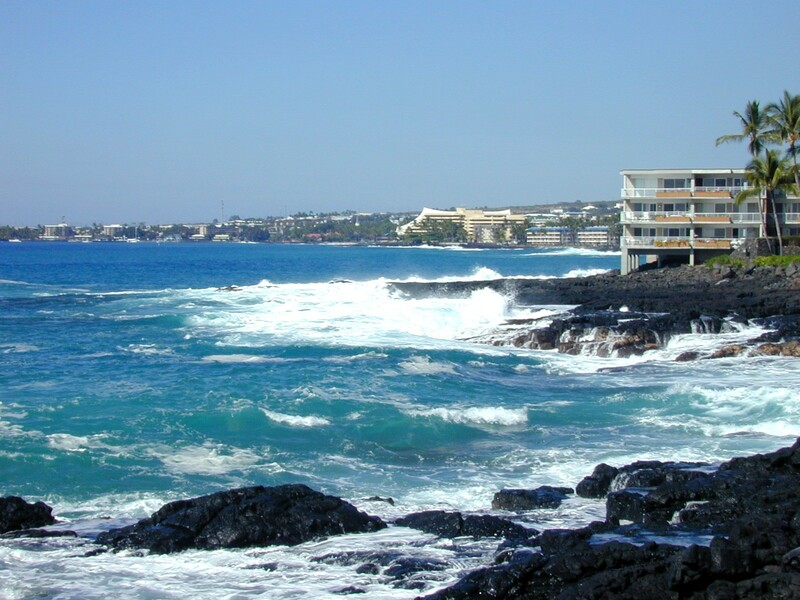 Close to golf courses, beaches, restaurants, shopping… only ten miles south of Kona International Airport.